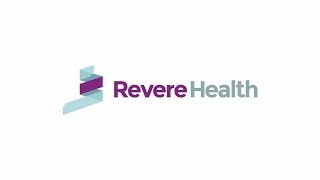 Revere Health patients in Provo have access to the region’s premier preventive medicine and exercise facility: the Revere Health Wellness Institute. Through exercise, nutrition and education, members of the Wellness Institute can increase productivity, improve general health and manage chronic conditions. Our team, consisting of a dedicated dietitian, physician and health education specialist, work to help our patients achieve their fitness goals. The Provo Wellness Institute offers weight management classes, aquatic programs, conditioning classes, nutrition counseling, group exercise and diabetic exercise classes. We offer a variety of aquatic programs for clients of all fitness levels, or in various stages of rehabilitation. We work with clients to teach them how to manage and care for their arthritis through diet, exercise and physical therapy. We work with patients who have fibromyalgia, usually characterized by widespread muscle pain and tenderness. We offer group exercise classes including yoga, water aerobics and Zumba. Meet with a professional dietary counselor to determine the right type of diet for you and your health. Our facility is complete with free weights, treadmills, ellipticals and other weight machines.